In his new book On China, Henry Kissinger looks at what makes China what it is. In his new book The Origins of Political Order, Francis Fukuyama attempts to explain why China is not Europe. The first book is written by a diplomat. It is in large part a firsthand account and takes a micro view: Sino-American diplomacy in the second half of the twentieth century. The second book is written by a pedagogue. It is full of historical data and takes a macro approach: mankind, the last two million years. And while Fukuyama seems so appalled by Oriental despotism that he has no eye for Oriental wisdom, Kissinger is fascinated by both. Kissinger is fascinated by Chinese diplomacy and its “meticulous analysis of long-term trends, careful study of tactical options, and detached exploration of operational decisions”—surely a refreshing change from American strategy, with its shallow analysis of short-term trends, careful study of public opinion, and impassioned exploration of dysfunctional decisions after they’ve been made in order to determine how they can be blamed on others. Kissinger is fascinated by the Chinese people: “this paradoxical mass—at once obedient and independent, submissive and self-reliant, imposing limits less by direct challenges than by hesitance in executing orders they considered incompatible with the future of their family.” He is fascinated by their likewise paradoxical leaders: Mao Zedong reaching “far back into the classical Chinese tradition he was otherwise in the process of dismantling”; Zhou Enlai, the enabler and moderator of the endless purges; and Deng Xiaoping, demolishing at age eighty the system he’d ruthlessly fought for as a young man. “Deng abandoned Mao’s continuous revolution,” writes Kissinger. On China is a good book, a diplomat sharing some of the same qualities as a good novelist, such as the ability to put oneself in another’s shoes and convince indirectly. It is also an illuminating comparison of two civilizations. Kissinger talks of Confucius and confusion and Nixon and Reagan, and of Mao receiving Khrushchev in a swimming pool so that the Russian who couldn’t swim had to wear blow-up fins for their meeting. He talks of chess and weiqi, and in so doing he draws a picture of China and America and their differing views of war, mastery, and time. At the end, Kissinger wonders about our future interactions. Since we have such different notions of victory, it might be tricky to know who’s winning or even when the game has ended. Lord Macartney, the first British ambassador to the Qing court, considered he’d won—though all his demands were rejected—because he knelt before the emperor instead of kowtowing. In their records the Chinese made him kowtow anyway. 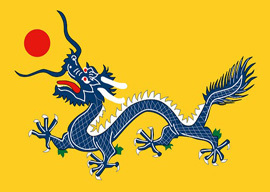 China was the first modern state, with a bureaucracy and taxes and an army by the third century BC: “eighteen hundred years before Europeans,” kowtows Francis Fukuyama, who proceeds to explain why they “failed to develop” a market economy like the capitalist one, “didn’t manage” to establish a strong supra-national Church like the Catholic one, or a common law like the British one. He goes around the world, tracking such “failures”: China is great but too authoritarian, India wonderful but so unequal, Melanesia is minor and mired in kin relations. Returning from his grand tour with a sigh of relief, Fukuyama is satisfied that there is no place like home, where the showers are hot, the air-conditioning cold, and the democracy liberal.